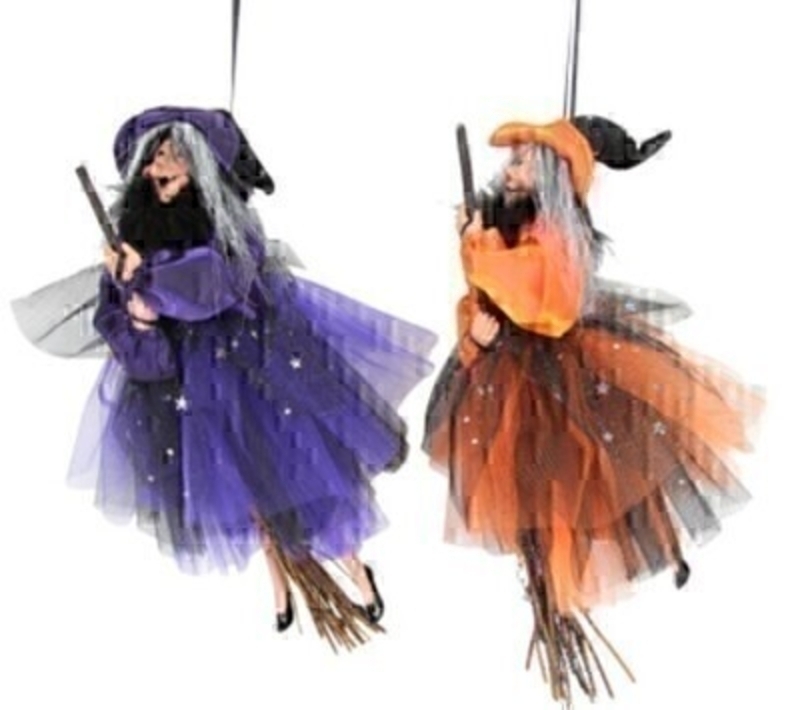 Spook your Halloween guests with these purple and orange witches on broomsticks by designer Gisela Graham. Great for Halloween parties. Choice of 2 colours available - If you have a preference of colour please specify when ordering. Purple Witch and Orange Witch can be hung on your wall or in your window to make a great addition to your halloween decorations.